How long should a car last? 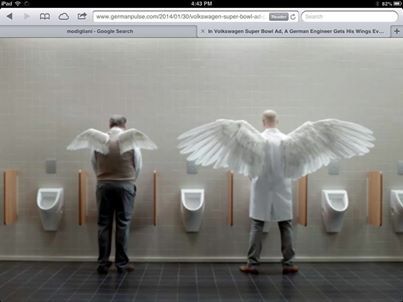 Of the car ads in the 2014 Superbowl, VW’s ad was among the biggest crowd-pleasers. In it, a German engineer sprouted wings every time a VW somewhere in the world passed 100,000 miles. Apparently, VW has more cars on the road with over 100,000 miles than any other auto maker. But is this much of a testament to their reliability? Back when I was a kid it was a big deal when the odometer rolled over from 99,999 to all zeros. But even in the 1970s and 1980s the great majority of cars made it to this mark. Today, virtually all of them do (unless totaled in a traffic accident). Instead, people expect no significant repairs for the first 100,000 miles, or even the first 120,000 miles. How long should a car last? TrueDelta conducted a special survey a few years ago and found that the average car lasted about 160,000 miles, with over 200,000 not uncommon. If VW could claim the most vehicles on the road with over 200,000 miles, this would be far more meaningful.